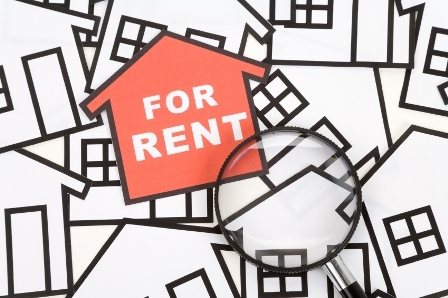 For everything you need to know about renting, read our informative step by step guide below. It’s packed full of useful tips to help you avoid the pitfalls and smooth the process of renting. Landlords want suitable tenants who fulfil the right criteria – so think ahead, plan early and make sure you get the home you are looking for. These points below are not exclusive and may vary according to the terms and conditions of individual landlords. All you need to do is go to our website, find a property that suits you, and contact us to make a viewing. In order to make the viewing process as stress free as possible, plan ahead and give yourself plenty of time to have a thorough examination of the property. Our recommended tip: ask us where the nearest train station and bus stops are before you view the property. • If you decide not to proceed with the tenancy. Our recommended tip: to avoid delays, notify reference providers in advance before the checking process begins. • Utility bills: gas, electricity, council tax. These are vital; once your offer has been accepted, work references provide a good indication you will be able to keep up with the rental each month. • If you are a student, you will need a guarantor. • Your income falls short of our criteria. In some cases landlords will ask you to provide a guarantor regardless of income status; if this is not possible, the decision may be taken to withdraw your application, in which case you will lose your deposit – so best to get these facts checked early. The guarantor should be made aware from the outset that they will stand as guarantor for you, (and your partner if you are moving in to the property with someone else); they should also be aware that this will run for the entire length of occupancy of the property, and not just for the initial tenancy term. If you are working, you need to earn 2.5 times the annual rent. If you don’t earn enough or you are a student, then a guarantor is required. The guarantor should earn 3 times the annual rent. To finalise the deal, a Tenancy Agreement will be produced confirming the conditions of your tenancy. To do this, just visit our offices and sign the agreement, which will also outline the legal terms. There may be individual stipulations and circumstances, so read the Tenancy Agreement through carefully to check you understand it. Standard tenancies last for 12 months with a 6 month break clause. • The Tenant is responsible for the cost of rent until the end of the contracted tenancy, unless a notice period has been agreed previously. • The Tenant is responsible for utility charges, council tax and telephone bills from the move-in date. • Pay the deposit holding fee. • Pay the balance of the first month’s rent, minus the holding fee. Tenants will usually be responsible for paying gas, electricity, water and Council tax. When signing your agreement, obtain the relevant contact details. Our recommended tip: if any of these apply to you, ask before you make an offer or pay a non-refundable holding fee. All the necessary documents must be submitted and satisfactorily checked, before moving in. The criteria outlined above in Point 5 is fairly standard so make sure you have enough saved to cover a month’s rent plus the deposit fees. Since 2007, all deposits in England and Wales must be protected by a government approved Tenancy Deposit Protection Scheme (TDP). The sum is held by the independent scheme, rather than the landlord, throughout your tenancy, giving you peace of mind. The landlord will register the deposit with one of the schemes and obtain a certificate which he will pass to the tenant. The deposit must be registered within 30 days. It is not the landlord’s responsibility to insure your personal belongings. If you have items you wish to protect it is up to you to take out an insurance policy, in the event of damage or theft. Our recommended tip: arrange contents insurance for personal belongings to provide you with adequate cover in case of loss. An inventory is an independent detailed record of the condition of the property and the furnishings, including the appliances. It is carried out both on moving in and when you leave. It is not a legal requirement for the landlord to arrange inventory checks and entirely at the discretion of individual landlords. However, the inventory minimises or prevents any disagreements between the landlord and tenants over the condition that the property has been left in. If the property is returned in the same condition as when you moved in, your full deposit will be returned to you. Rent is to be paid from the first day of the tenancy start-date, continuing on the same day each month until the end of the agreement. Most landlords prefer you to set up a monthly standing order due to its ease and reliability.